WP Edit Pro will accept importation of an export file. In other words, an export file created with WP Edit Pro can be used as the import file. WP Edit Pro will only accept import files created by WP Edit Pro. No other plugin file can be used. WP Edit Pro will check the file to make sure it is a proper .json file extension. The plugin will also check to make sure a valid file is being imported. To select a file for importation; either click the input field or the “Choose…” button. 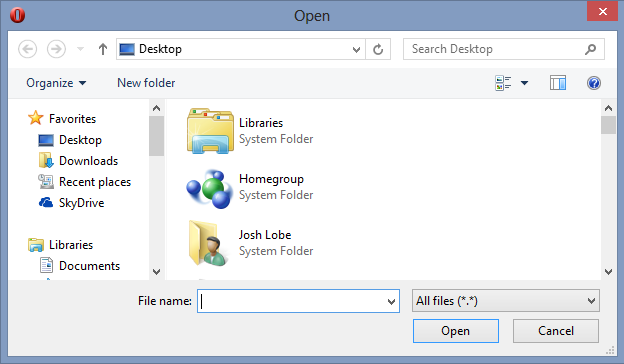 Doing so will open the browser file explorer. Select the file to import; and then click the “Open” button. This will load the file back into the input field; and clicking the “Import” button will import the selected file.